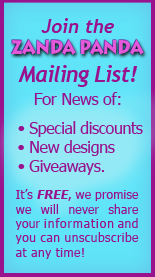 New designs for the winter holidays! From top left: Snowman, Present, Frozen Snowflake, Elsa Cookie (Frozen Snowflake surrounded by braid border), Cute Reindeer. Four of the designs above double as ornaments when hung by their red satin cords. The cords can easily be removed when making cookies or creating holiday crafts. These handcrafted cookie molds can be used for molding cookie dough, fondant, pound cake and slices of bread for tea sandwiches. 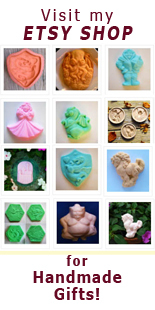 The molds can also be used for making crafts like cast paper for scrapbooking, salt dough and polymer clay for sculpture or to create holiday ornaments. Each mold is individually handmade in my studio in Connecticut from my original sculpture. The clay molds are then high fired twice to create food-safe, dishwasher safe, stoneware molds that will last for generations. Directions and a recipe for molded cookies are included. See these Christmas / Winter-themed cookie molds and other designs by visiting my Etsy Shop! 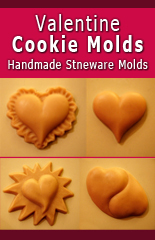 Watch a video on using my stoneware cookie molds. Find a holiday cookie recipe designed especially for molded cookies (they won’t flatten out when baking).